I have to admit – I wasn’t sure about using Disney’s new Magic Bands system at first – I was sure it would be hard to setup, and confusing to use once we got to Disney World – but I was actually pleasantly surprised with how much I enjoyed them! I was also able to setup our Fastpass+ through the website, and I would say the only drawback to this was that you can only have 3 fastpasses per person per day, and they can’t be at 2 different parks – which to me is a bit limiting, but I understand that they can’t let everyone go nuts and have as many as they want. However, I hope they look at this limitation in the future and come up with some kind of alternative – anything is possible! Once we were at the Resort, I was able to use the My Disney Experience app on my iphone to check dining reservation and Fastpass times, and change them if need be – which was nice. The app was pretty slow too and didn’t always want to work correctly, but I am guessing those kinks will be worked out soon, since the Magic Band system will be rolled out all over the World very soon (while we were there, the Magic Bands were only being tested by select Resorts). We were able to use the Bands to pay at Restaurants, shops, snack carts, and they were our fastpass and park admission tickets as well. 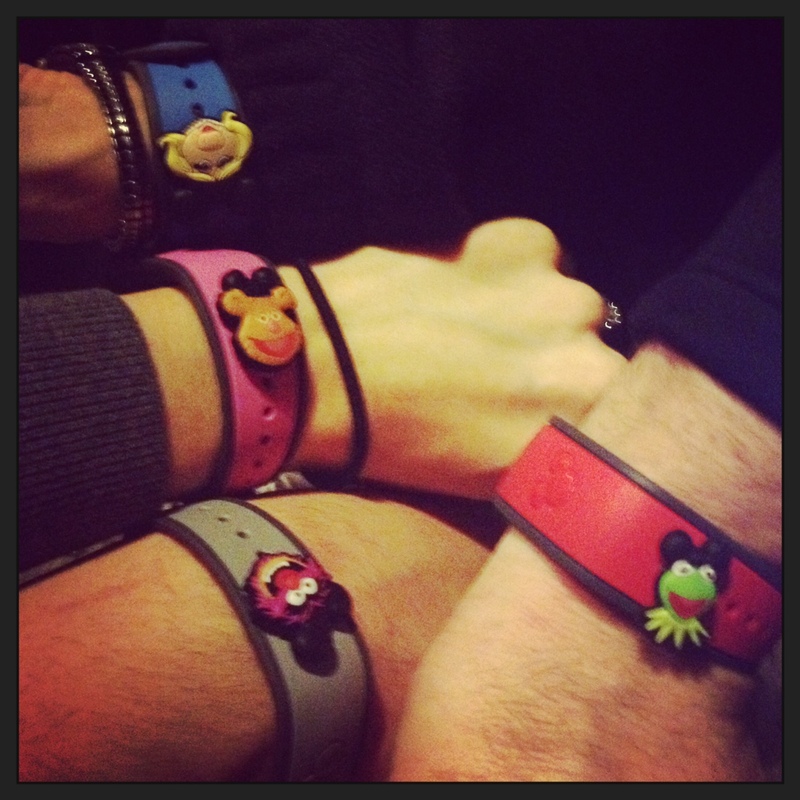 I am glad we were able to test out the Magic Bands system, and can’t wait what new technology Disney comes up with next!